Throughout the 1960s and into the 1970s, the Shah of Iran - Mohammad Reza Pahlavi - and the Iranian student opposition abroad developed competing narratives of human rights in Iran. While Iranian students worked with Western human rights organizations to highlight the use of torture against political prisoners in Iran, the Pahlavi state responded by embracing a Third World narrative of human rights that emphasized state sovereignty. In this lecture, Roham Alvandi examines how both the Shah and his opponents sought to instrumentalize human rights in the international struggle that sparked the Iranian Revolution of 1978-79. 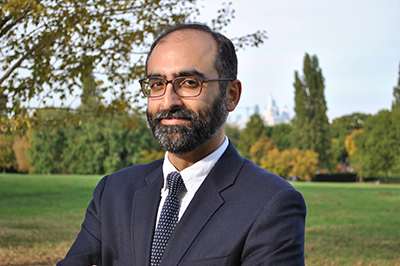 Roham Alvandi is an Associate Professor of International History and Director of the IDEAS Cold War Studies Project at the London School of Economics and Political Science. He is currently a Visiting Associate Professor in the Department of History at Columbia University.